After graduating from Illinois Wesleyan University in 1980 with a BFA in Drama, Bobby decided to leave the security of his suburban Chicago home and head to Hollywood to seek his fame and fortune as an actor. With $500, a beat up sports car and his Dad's gas credit card in hand, he began his journey to pursue his dream. Over the years the acting roles were there for the taking but the "fame and fortune" Bobby had sought proved to be elusive. Work on such shows as Days of Our Lives, Jake and the Fatman, Life Goes On, Scarecrow and Mrs. King, The Sentinel, Touched by an Angel, Viper, Promised Land and Walker: Texas Ranger as well as numerous theatrical credits all served to keep the dream alive, but were never enough. Then the opportunity came to audition for an "international recording group" seeking an attractive male vocalist with a tenor voice, falsetto, and at least 6 feet tall. Well, the tenor voice used to be there when he was in college, so he figured he would wear boots for the height and hope the room was dark for the rest. The result was the 6 year stint as a member of The Lettermen. Bobby recorded 6 albums with The Lettermen, performed in excess of 1000 concerts around the world and most importantly came to the realization that the "fame and fortune" he had so fervently sought was nowhere near as important or rewarding as the "fame" he had in his own family as a big brother or the "fortune of the heart" he receives daily from his wife Beth, son Robert V, and daughter Callie at their home in Illinois. In 2001, Bobby began touring the country again. This time with the classic group The Diamonds, rock and roll pioneers who recorded the 50’s anthems “The Stroll” and "Little Darlin". In 2002, the soundtrack for "The Adventures Of Tom Thumb and Thumbelina," an animated film, included Bobby's duet with Jennifer Love Hewitt. In 2010, Bobby was delighted to be invited to take the stage for a night with the legendary group, The Vogues. In 2011, the door to a return to The Lettermen opened and Bobby walked back though. He considers his return to The Lettermen a true honor and looks forward to many years recreating the magic on stage and in the recording studio with his partners Tony Butala (founding member) & Donovan Tea. Dawn Upshaw ’82 was recently featured in an Opera News article entitled “The Teaching Artist” in which she spoke about her work as a teacher at the Tanglewood Music Center, where she is head of the vocal arts program, and at Bard College Conservatory of Music, where she is artistic director of the graduate vocal arts program. 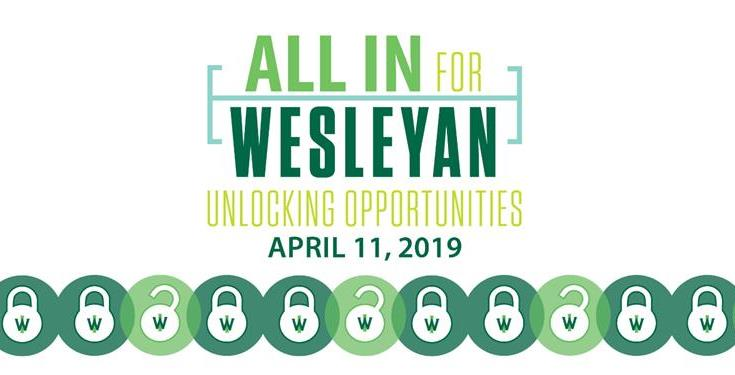 In the article, she reflected on her career after her time at Illinois Wesleyan as well as her hopes for the future. On what kind of singer she wants for the Tanglewood Program: “We look at the voice, and the quality, the talent in communication. We are also looking for students we think we can help guide—someone who’s open to working collaboratively. That’s what it’s all about. The singers in the program tend to be people who have just finished grad school. It’s a small enough group, and we get enough applicants, that we really are able to stick to a certain level of artist. That’s the level I was most interested in at Bard, too. I actually began at Bard in 2004, before I took the position at Tanglewood. 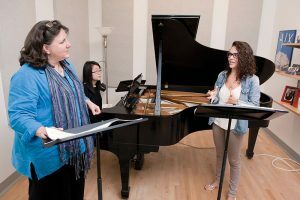 When Bard first approached me, they were creating an undergraduate conservatory, and I said I didn’t want to create an undergraduate vocal program. I was more interested in the openness and the skill level of graduate-level students. 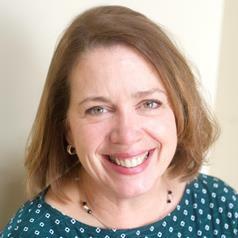 “Our program at Bard is centered on the core seminar classes. There are four semesters in a two-year program, so there are four core seminars. The course I love the most is called ‘Creating Unique Performance Opportunities.’ The students are put into two groups of three or four, and they do everything—they choose their program, they rehearse, they do the research, they do their program notes, they find the venue, they book the concert and do all the publicity. It has to be off-campus, and in the community around Bard. All of this is done by Thanksgiving. So it’s a very quick turnaround, very intense class, but it shows them that they can create their own performance opportunities. The impetus for that class comes from me believing things are constantly evolving in the business, and in the work. I truly believe that the most exciting thing about the future in music is the new young musicians that are coming along and saying they want to do this. They find a way to say what they want to say with their music. And so they need a place they can create for themselves in which to say what they want to say with their work. Dawn brings a unique perspective on performing and a passion for sharing her experiences to her mission of shaping aspiring singers. Ansel Johnson ’81 is an optometrist at Blue Island-based Vision Salon Eye Care Associates who is working to detect and combat diabetes in his patients. Among the technology Johnson uses is a device he acquired in December that makes it easier to detect very subtle changes in patients’ color vision that can happen as a result of diabetes. He is a member of the American Association of Diabetes Educators, and for the past 20 years, he has presented lecture series on diabetes and glaucoma at libraries, churches and schools, he said. His practice, in partnership with a North Carolina based company, recently began rolling out a formal diabetes education and prevention program for patients called KNOC. It’s an acronym for knowledge, nutrition and ocular health coaching. With the initial roll out of the education initiative, he is making grants available to cover the cost for patients to enroll in the program and is in conversations with insurance providers to encourage them to cover the costs, he said. Johnson, who considers himself a holistic doctor and partner to his patients’ health care providers, said while physicians refer patients to diabetes education programs, he sees many patients who have never gone or who only went when they were first diagnosed. He is trying to fill the gap, he said. His life saving message should be followed. Nearly 26 million children and adults in the U.S. have diabetes, and 79 million have prediabetes placing them at increased risk for developing the disease, according to the American Diabetes Association. African-Americans are 77 percent more likely to be diagnosed with diabetes compared to white Americans and are hit harder by diabetes-related eye complications, according to the association. Diabetic retinopathy, which is damage to the blood vessels in the back of the eye that can lead to blindness, is 46 percent more prevalent in African-Americans than whites. In Illinois, roughly 1.3 million people are diabetic and 341,000 of them don’t know it, according to the Illinois Department of Public Health. Rates are highest in the state among blacks and Hispanics. Diabetes costs the state an estimated $12.2 billion each year because of complications that include heart disease, stroke, amputations, kidney disease, blindness and death, the Illinois agency reported .The staggering impact diabetes is having on minority communities is what drives Johnson. More importantly, education and prevention can save lives and preserve vision, he said. Here is a link to the full article published in the Chicago Tribune. 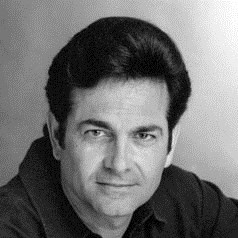 Since the late 1980’s Robert Poynton has been associated with international recording artists “The Lettermen”. The combination of Tony Butala, Donovan Tea and Poynton is the longest any 3 members of the group have ever sung together. 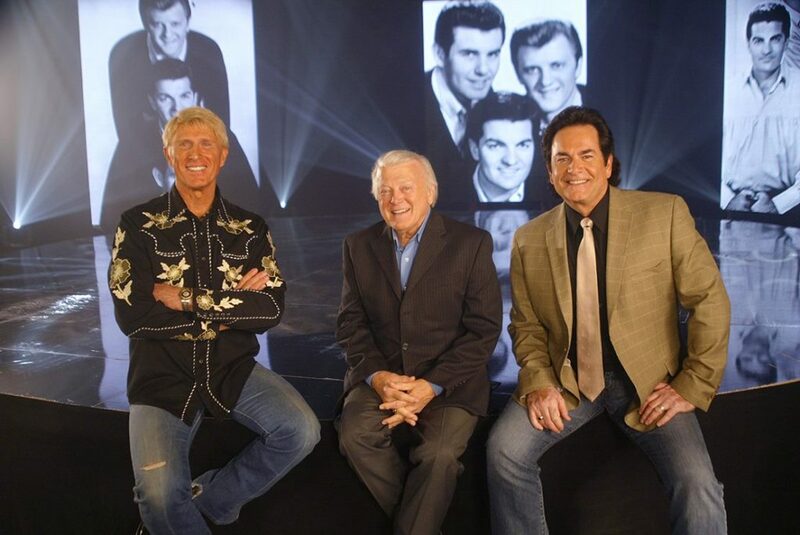 Recently, it was announced by the Hollywood Chamber of Commerce, that The Lettermen would be recognized for their distinguished recording career with a star on the Hollywood Walk of Fame. The Lettermen join other artists such as Michael Buble, Faith Hill, Pink and Linda Rondstadt as well as actors Robert De Niro, Guillermo Del Toro, Ann Hathaway and many others as the Class of 2019. The induction ceremony will be sometime in 2020 in Los Angeles. Here is a link to the article from the Hollywood Chamber of Commerce.